I’ve been thinking more about the relations between theatre and war I started to sketch in the previous post. 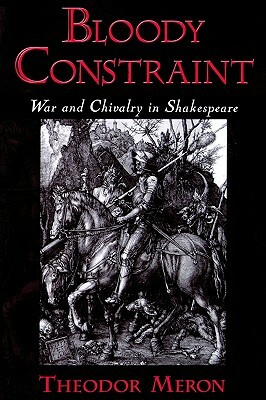 Stuart Elden‘s work on Shakespeare and territory (or, rather, ‘Shakespearean territories‘) is of considerable interest here – remember Homi Bhabha’s claim that ‘territory’ derives from both terra (earth) and terrere (to frighten), thus territorium as ‘a place from which people are frightened off.’ Stuart provides a more nuanced genealogy than that, needless to say, but there are also contributions that address Shakespeare’s thematics (and theatrics) of war more directly. Full details are here, but two essays that I’m looking forward to reading are Mark Bayer‘s “Shylock, Palestine and the Second World War” and Tibor Egervari‘s “Shakespeare’s Merchant of Venice in Auschwitz”. Egervari is another interesting man: Shakespeare’s Merchant of Venice in Auschwitz is a play first performed in 1977 and reworked many times since. 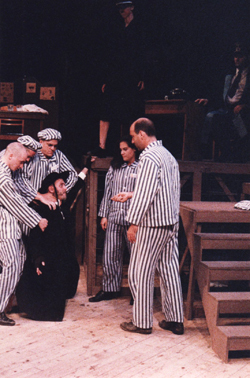 Informed by the writings of Primo Levi, it’s an ‘imaginative reconstruction of what it might have meant to stage the Merchant of Venice in Auschwitz’ (Egervari wryly notes that the Nazis staged the play more than 50 times between 1933 and 1939). You can download the script here. The play is many things, but among them is a tart reminder that Giorgio Agamben‘s space of exception – especially as captured in Homo sacer – is almost always a profoundly theatrical space: space as performance rather product. If this captures your imagination too, you might be interested in Arthur Horowitz‘s “Shylock after Auschwitz: The Merchant of Venice on the post-Holocaust stage – subversion, confrontation and provocation’, Journal for cultural and religious theory 8 (3) (2007) here. 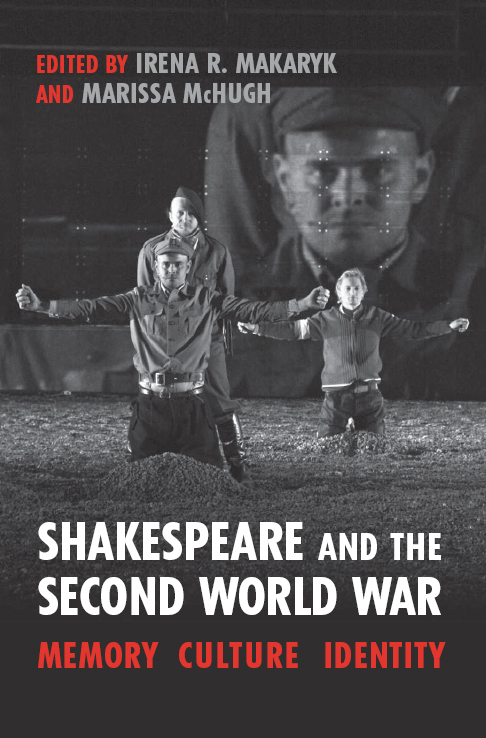 This entry was posted in law, World War II and tagged Shakespeare, Stuart Elden, Theodor Meron by Derek Gregory. Bookmark the permalink.